I just received this invitation concerning the Cyrus E. Dallin 150th Birthday festivities. All are welcome to learn more about this great sculpture and sculptor. · The Prado's importance as a community park and gathering space for the North End. The event will last from Noon until 4PM and will include a main program of welcoming remarks from neighborhood organizers and elected officials from 2:00 to 2:30. We expect the event will be attended by more than two dozen members of four generations of the Dallin family, including Jean Dallin Doherty, Cyrus Dallin’s granddaughter, who attended the September 1940 dedication as a very young girl. Paul Revere, Jr., who also attended the 1940 dedication, will be at the event, as well. · "The Pride of Later Generations: North End History Remembered in The Prado," by Alex Goldfeld, President, North End Historical Society. A companion lecture program will be held at Old North Church on Thursday evening, May 17, 2012, featuring talks by art curator Rebecca Reynolds about Dallin's Paul Revere and by historian Alex Goldfeld about the neighborhood's history represented in The Prado. We hope you will be able attend on the 29th, and I would be happy to discuss this event further with you. I can also be reached at 617-833-9564. A new sculpture is coming to Boston! Please read below. BOSTON – Stefanie Rocknak, a professional sculptor with a tandem career as a professor of philosophy in New York, has been selected to create a statue to commemorate Edgar Allan Poe in Boston, the city of his birth. “Edgar Allan Poe is one of the most influential writers ever born in the City of Boston. As a city proud of its rich history, I’m so pleased to see this wonderful tribute come to fruition. The statue chosen for Poe Square is full of life and motion, and is sure to inspire residents and future writers alike for generations to come,” said Mayor Tom Menino of Rocknak’s design. A five-member artist selection committee, empowered by Boston Art Commission guidelines, has made the decision following a lengthy process involving intense public scrutiny of design proposals created by three competing finalists. The finalists were picked from a pool of 265 artists who applied for the competitive public art commission from 42 states and 13 countries. “I propose to cast a life-size figure of Poe in bronze. Just off the train, the figure would be walking south towards his place of birth, where his mother and father once lived. Poe, with a trunk full of ideas—and worldwide success—is finally coming home,” said Rocknak of the design she calls Poe Returning to Boston. “The sense of Poe returning triumphant with creative ideas bursting forth from his suitcase is very appealing,” according to project manager Jean Mineo. “The review committee, and public input, conveyed great excitement with the dynamic sense of movement, accessible style, and Poe’s creative energy expressed in the proposal. There is also strong support for Steff’s approachable, ground level statue that helps humanize Poe and place him in the context of this active neighborhood,” Mineo said. The plan calls for the statue of one of America’s most influential writers to be installed in Edgar Allan Poe Square, a tree-lined, city-owned brick plaza at the intersection of Boylston Street and Charles Street South, just two blocks north of where Poe was born in 1809. Mayor Menino dedicated the location to Poe—and to his place in Boston’s literary heritage—during bicentennial celebrations in 2009. Poe, who at age 18 returned to Boston to publish his first book, later developed a notoriously contentious relationship with the city’s literary elite, including with local editors who seized an opportunity to criticize him upon another return to his native city for a reading in 1845, the year Poe’s most popular poem, The Raven, appeared. Poe’s final works were also published in Boston prior to his mysterious death in Baltimore in 1849. An award-winning member of the Sculptors Guild whose artwork has appeared in numerous publications and in more than 40 exhibitions including at the Smithsonian, Stefanie Rocknak is an associate professor of philosophy and the director of the Cognitive Science Program at Hartwick College in Oneonta, New York, where she has taught since 2001. A graduate of Colby College in Waterville, Maine, with a B.A. in American Studies and Art History with a concentration in studio art, she holds a Ph.D. in Philosophy from Boston University. Her interests include the 18th-century Scottish philosopher David Hume (the subject of her forthcoming book), the philosophy of art, and the philosophy of the mind. The Edgar Allan Poe Foundation of Boston appreciates support for the Poe Square Public Art Project, and the financial contributions of the City of Boston’s Edward Ingersoll Browne Trust Fund that made its planning and artist selection process possible. Construction of a finalized design of the proposed sculpture—which proponents envision by the end of next year—will depend on success of future fundraising initiatives to offset the anticipated $125,000 total cost of the project. 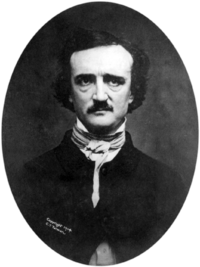 The Edgar Allan Poe Foundation of Boston, Inc., is a non-profit, 501(c)(3) corporation organized exclusively for the charitable educational purpose of honoring Poe in the city where he was born in 1809.